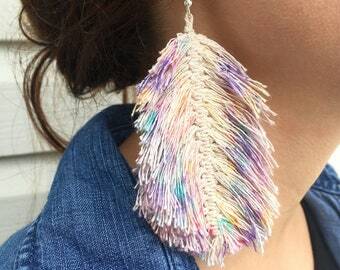 Macrame earrings in a variety of colors and styles. 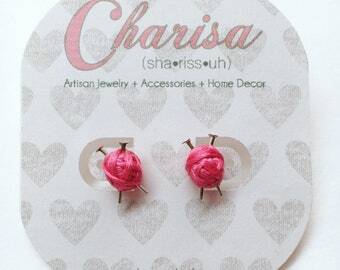 Handcrafted macrame earrings hang approximately 3 inches, from French ear wires. Made of cotton, on silver plated wires. Multicolor option is hand dyed. Perfect vibrant and bold accessory piece. 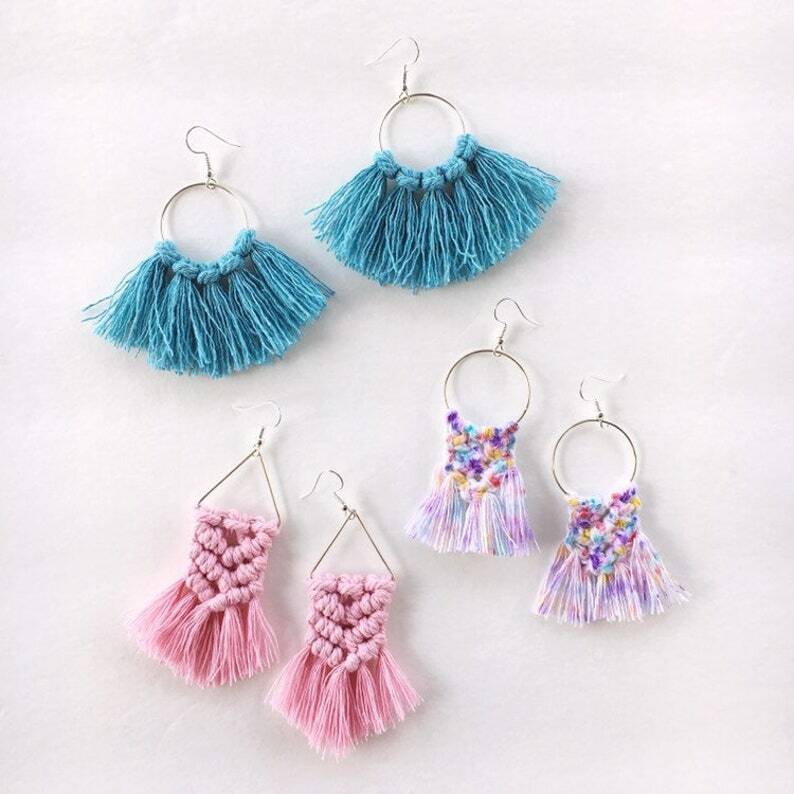 These colorful earrings are great for giving off major mermaid or unicorn vibes. Style A: top left, fringe style. Style B: mid right, square knots w/ fringe. Style C: bottom left, hitch knots w/ fringe.